Fast, smart and powerful, big cats are nothing like your average tabby! Sharp claws and dagger-like teeth – plus the ability to stalk silently, jump long distances and see in virtual darkness – make these cats natural killing machines. In striking photos and facts from National Geographic, now you can explore the secretive world of these rare and remarkable creatures. 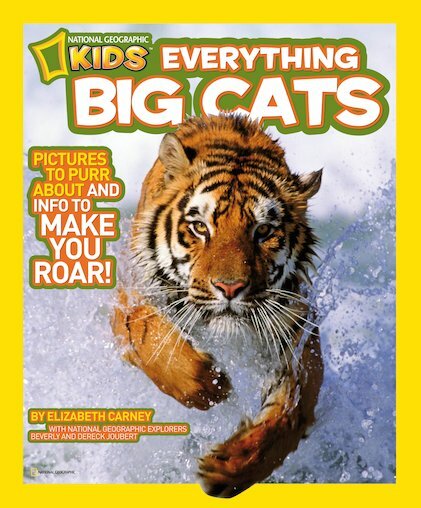 Learn about their prey, discover your unique big cat purr-sonality – and then be a smarty-cat and test yourself! Become an expert on big cats!